You'll be rewarded if you set your alarm for an early start when arriving in Kotor. Part of the fun is entering the Bay of Kotor and gliding for an hour through the mountains on a 17-mile waterway known as Europe's southernmost fjord. 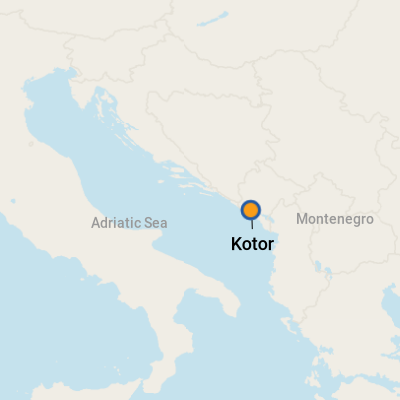 It's not actually a fjord -- fjords are caused by glacial activity, and the Bay of Kotor has been carved by a river running from the interior to the Adriatic Sea. Still, the views are fjord-like, with mountains rising on both sides of a long, thin bay that leads to the old walled town of Kotor. Cruise ships often begin the bay journey as early as 6:15 a.m. for an 8 a.m. arrival. Its fortified entrance to the sea made the Old City of Kotor an ancient trade center. Now it's a UNESCO World Heritage Site and Montenegro's most famous town. The Old City is a well-preserved collection of buildings, churches, squares and stone streets that date to the Middle Ages. The car-free, walled town is just across the street from the city's cruise ship dock. Kotor is full of shops and little restaurants. Pick a square, order a coffee and gaze at churches from the 12th to 15th centuries. Looking for more great views? Put on your walking shoes for a hike. The city walls climb the mountain behind the town, and it's about 90 minutes up to the fortress at the crown (at 853 feet) and back. 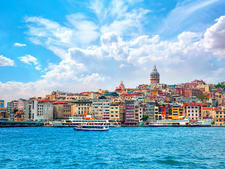 If your ship is in port for just a few hours, you may want to concentrate only on exploring the Old City. 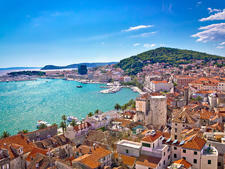 If you have all day, consider excursions into the mountains for sightseeing and stops at seaside resorts on the Adriatic. Ships dock and discharge passengers right onto the quayside, just across the street from the Old City's imposing 16th-century Sea Gate (about a 50-yard walk). The Old City is something of a warren, but you can wander off without fear, as any local will be able to direct you back to this gate. No need to; head straight to the Old City, where you'll find souvenir shops, cafes, restaurants, ATMs and inexpensive Internet cafes. Port traffic is busy along the waterfront; take care crossing the road. Be aware of loose rocks and uneven steps when walking around the city walls and up to St. Ivan's Fortress. If you decide to do this, wear sturdy shoes. Also keep an eye out for the two tiny islands at the entrance to the Bay of Kotor (if you're up early enough to enjoy the approach). One is Our Lady of the Rocks, a lush, green outcropping that's popular as a diving site. The other, St. George, is home to a 12th-century Benedictine monastery. On Foot: Walking is the best way to get around Kotor's Old City, which is fairly small, compact and car-free. And as the streets get narrower, the shops get more interesting. If you have only a few hours in port, you'll probably want to spend them making the most of the Old City. But if you have more time, trips into the mountains or along the Adriatic coast are worth considering. 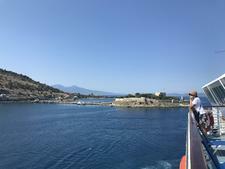 By Taxi: Local taxi drivers meet the cruise ships and will ply you with offers of countryside tours, priced from around 60 euros an hour for a car and up to four passengers. Check out the Don't Miss section for ideas, and don't be afraid to negotiate; it's a good way to check how good the driver's English is. Montenegro's currency is the euro. (For the latest exchange rate, visit www.oanda.com or www.xe.com.) There are plenty of ATMs dotted around the Old City. The official language in Kotor is Montenegrin, which, like the languages of the neighboring Croats, Serbs and Bosnians, has its roots in ancient Slavic. A few key phrases are translated below, but don't worry too much. English is widely spoken -- and even more widely understood -- in Kotor. Do you speak English? -- Dali pricate Engleski? Where is the toilet? -- Dje je WC? Montenegrin food has its roots in Balkan cuisine but is also influenced by other European countries such as Italy, Turkey and even Austria. In addition to pizza and pasta, you'll find moussaka on menus, alongside plenty of grilled fish and meat dishes, and hearty soups and stews beloved by the locals. If you want to eat as the locals do, order a plate of sarma (cabbage stuffed with spiced beef and rice), podvarak (roast meat served with sauerkraut), or rastan with kastradina (wild cabbage with smoked lamb). Quality work by local artists is widely available in the Old City's craft shops, including watercolor landscapes hand-painted on silk for less than 20 euros. Other good buys include locally made woolen goods, woodcarvings, lace, embroidery and hand-painted pottery. Wine from Montenegro's Plantaze vineyards goes down well; ask for Perla Nera if red is your tipple, Krstac if you prefer white.